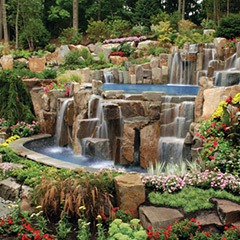 When you think of hardscapes think of Custom Unique Landscaping Bergen County’s hardscape installation specialists! Whether you want an elegant backyard getaway or a simple patio we have the education, experience and eye for great detail to transform any dream into reality. Our construction craftsmen will dazzle you with designs that combine practicality, affordability and the highest standards of service and quality that have made us leaders in the industry! Our installations include: brick patios, walkways, driveways, walls, pillars, fireplaces , waterfalls, pool decks and much more. The appropriate landscape design will increase the value of your home while reflecting your individual personality and lifestyle. With years of experience, Custom Unique Landscaping Corp. has been providing a complete design service which combines creativity, practicality, and quality with special attention to detail. From formal patio areas to casual plantings we take your project from concept to design making your home beautiful year round. Custom Unique Landscaping’s chemical division is fully licensed and insured, offering complete Turf & Ornamental Tree & Shrub Care services in Bergen County and throughout New Jersey. 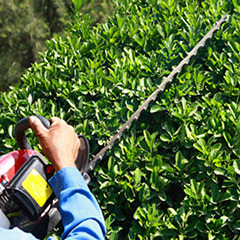 Our comprehensive programs have competitive rates and are based on an Integrated Pest Management approach adhering to all State & Federal Regulations. In addition to fertilization & weed control, our other services include: core aeration, hydro-seeding, certified soil analysis, flea & tick control and deer repellants. 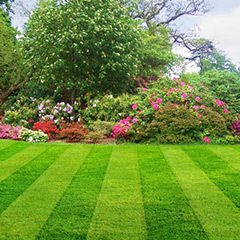 While Lawn maintenance does not get the headlines in the landscaping field, it is the part of our business that clearly demonstrates our commitment to quality, service and excellence. 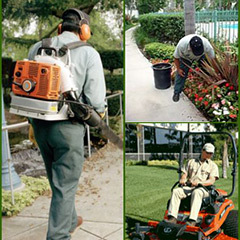 Our work ethic is most evident in the homes and commercial properties we care for on a regular basis. Whether we are just mowing the lawn or providing full maintenance services we treat each property as if it is our biggest and most important client. Lawn renovation is necessary when the turf-grass of a lawn needs to be improved but not completely redone. If the lawn were to be redone it would have to be ripped up and replanted. Lawn renovation, on the other hand, can be done when the grass is declining to a point where it can only get worse, but it is not so bad that it is necessary to reestablish the entire lawn. As long as half of the yard is in a favorable condition, the renovation efforts should be successful. Custom Unique Landscaping Corp. would like to take this opportunity to introduce you to the fascinating world of water gardening. The gentle sound of flowing water is therapeutic to the mind and soul. It relaxes and soothes while adding great beauty to your yard and existing gardens. 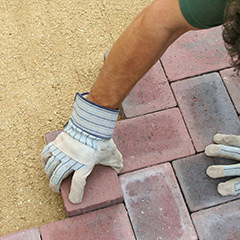 The knowledgeable staff at Custom Unique Landscaping Corp can assist you from design to finish to make the fastest growing aspect of the garden industry a part of your yard.